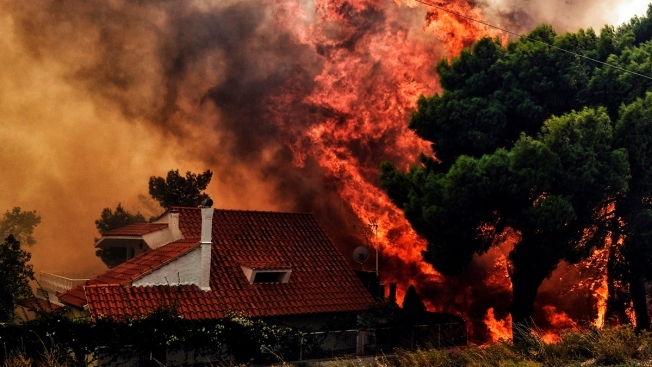 At least 79 people in Greece died after deadly wildfires hit the country Monday. Rescue crews continue to search for missing people, but there's been no official indication as to how many are missing. Hundreds fled to the sea to escape the heat and smoke from the fires. Rescuers intensified a grim house-to-house search Wednesday for more casualties from a deadly forest fire outside Athens, as the country's military said it was using footage from U.S. combat drones and surveillance aircraft to try to determine whether arsonists were behind the blaze and stop future attacks.